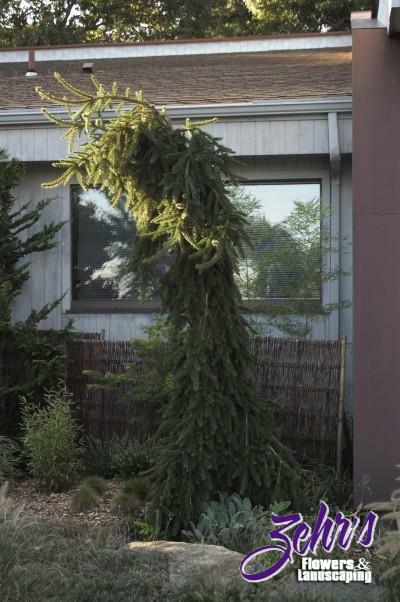 This slow growing evergreen has pendulous branching, creating a unique specimen plant for the landscape. The short, dark green needles are attractive year round. Size varies greatly depending on how the plant is staked. Prefers full sun to partial shade. Rarely to never fed on by Japanese beetles.